A cross-coupling reaction is usually carried out in an organic solvent, resulting in the production of a huge amount of solvent waste, which is often hazardous to the environment. Hokkaido University researchers, in Japan, have developed a new approach making room for the execution of more environmentally friendly solvent-free solid-state cross-coupling processes using mechanochemistry. This new approach is also known to have several potential applications, which also covers the production of organic materials detected in solar cells and light-emitting diodes. In the presence of a metal catalyst, cross-coupling reactions proceed efficiently in order to produce a variety of organic molecules possessing unique properties. To be more precise, the Nobel-prize-winning palladium-catalyzed cross-coupling reactions have been used for a very long time in medicinal chemistry, in polymer and materials science, and in the synthesis of natural products. With the focus to decrease environmental waste, researchers have been studying methods capable of enabling efficient organic syntheses that use no or less solvent. In this context, “solid-state organic transformations” have gained significant research attention, but enhancing the competence of cross-coupling reactions in solid media continues to be a challenge. Hokkaido University organic chemists Koji Kubota, Hajime Ito and their colleagues have together published a study in Nature Communications. In this study, the chemists introduced a new strategy for solid-state palladium-catalyzed cross-coupling reactions using mechanochemistry that is capable of enabling efficient solvent-free synthesis of organic materials. The chemists placed two solid organic materials inside a ball milling jar holding a stainless steel grinding ball. To this, the chemists also added a palladium-based catalyst. Following this, the jar goes through a shaking process that allows the ball to grind the solid compounds, commencing a cross-coupling reaction. As a result of this, the palladium-based catalyst developed a tendency to aggregate during the reaction, which may result in catalyst deactivation. 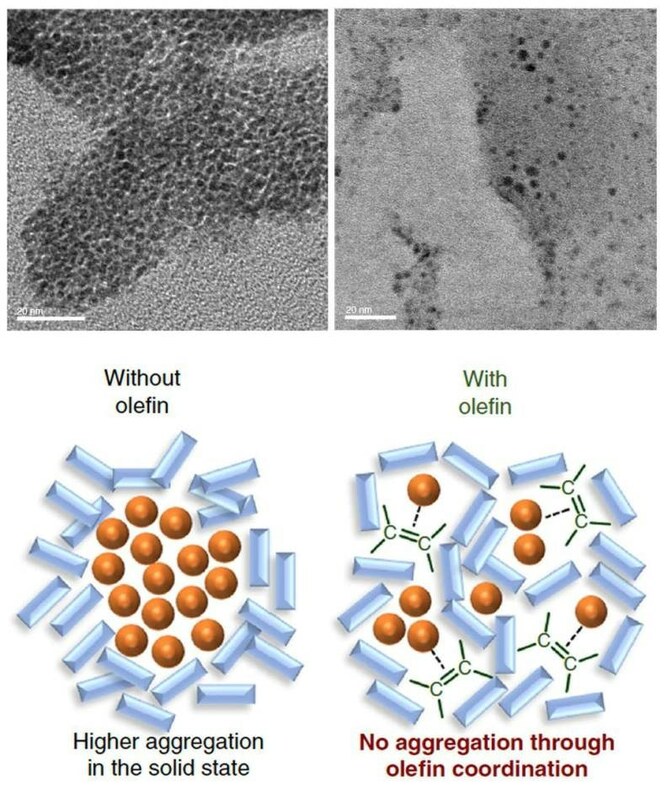 But then, when the chemists added olefin such as 1,5-cyclooctadiene to the mixture, it functioned as a dispersant for the palladium-based catalyst, enabling a more effective solid-state cross-coupling reaction. Upon adding olefin, the conversion rate of the reaction increased from less than 30% to 99%. Our protocol should be particularly useful for reducing the amount of organic solvent used in industry that is harmful to the environment. It will also make the production process less costly. The new method could be applied to, for example, the production of triarylamines that can be found in a wide range of organic materials including solar cells and light-emitting diodes.